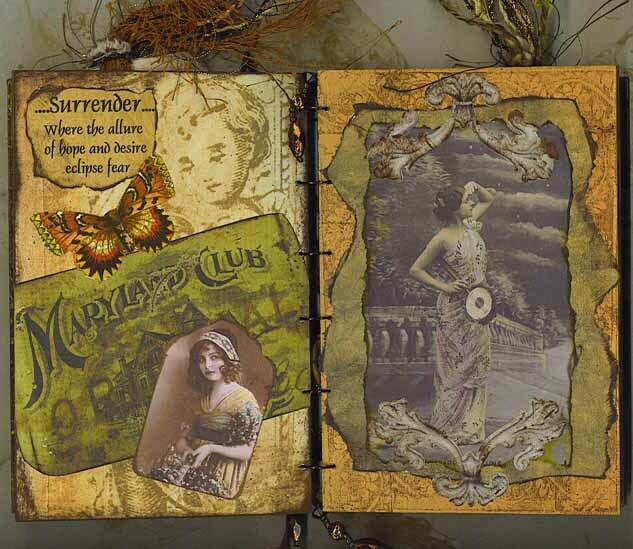 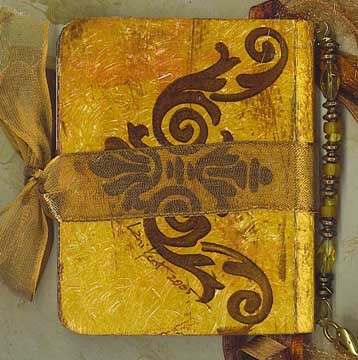 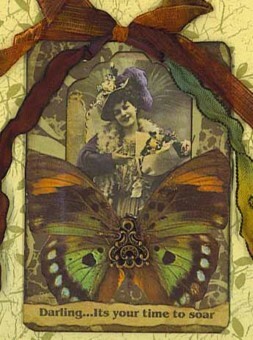 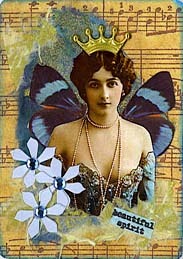 I have a love for beautiful papers, jewels, trinkets, butterflies and all that is lovely and special. 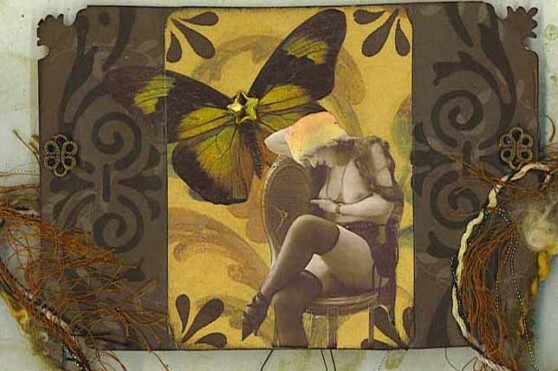 Often when creating in my studio, I move from one piece to another not sure exactly where it is going but feeling a sense that I will know when the piece is ‘finished". 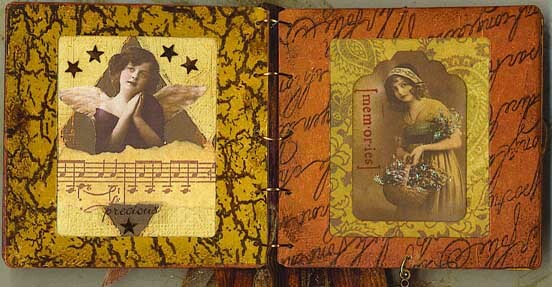 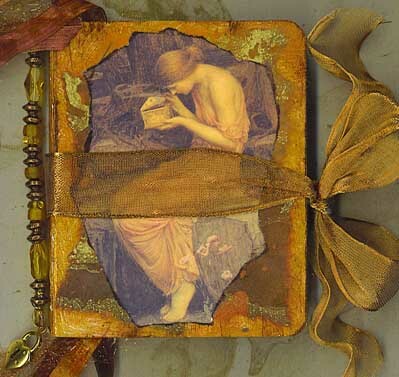 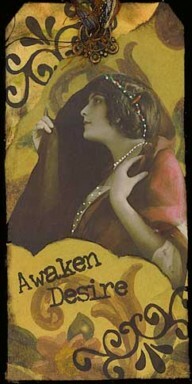 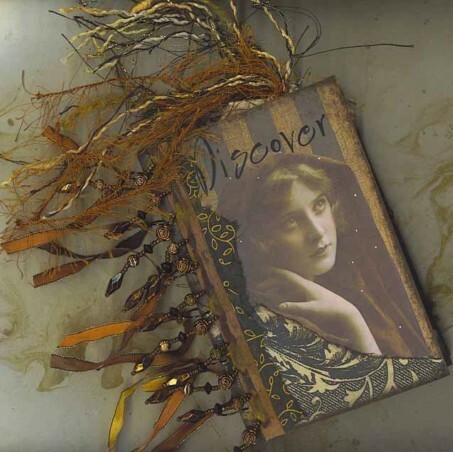 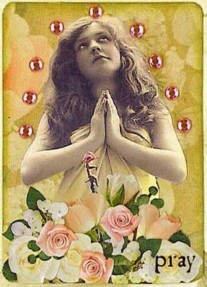 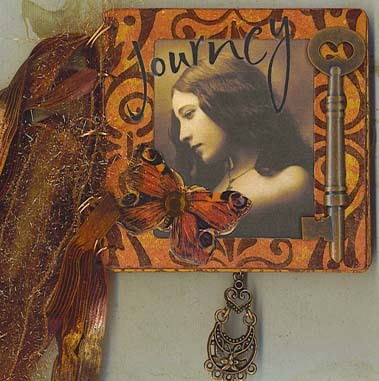 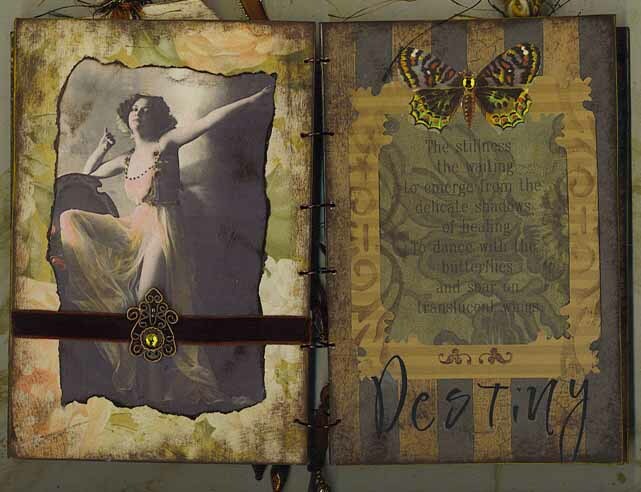 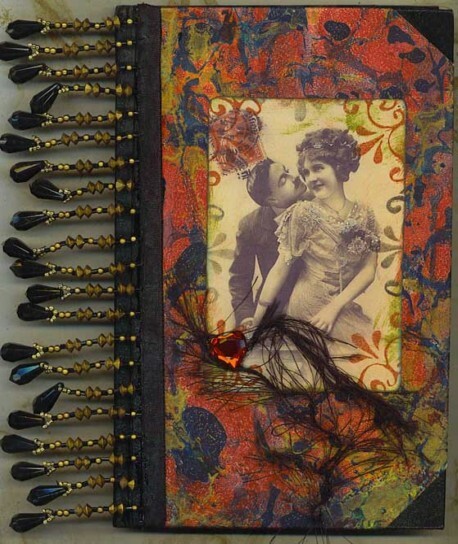 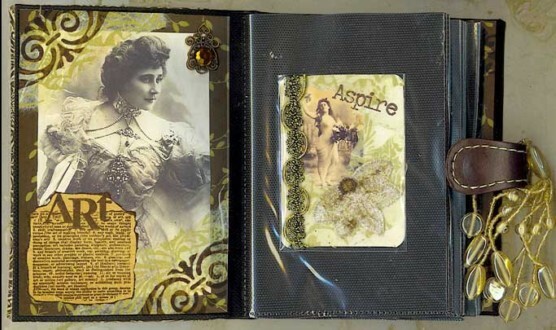 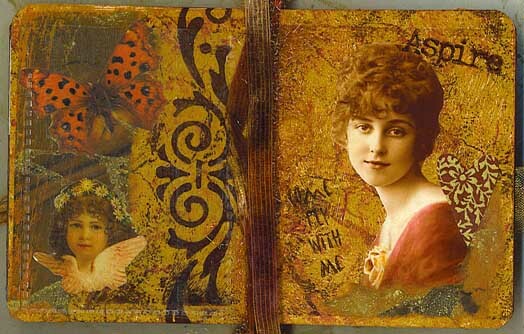 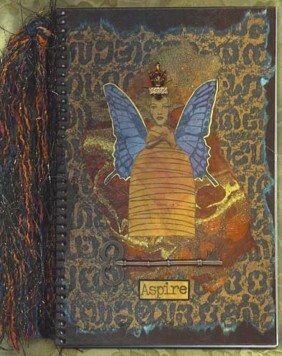 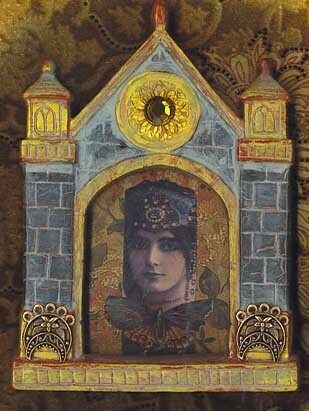 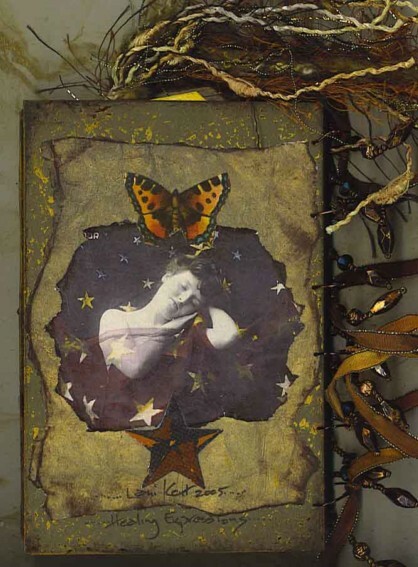 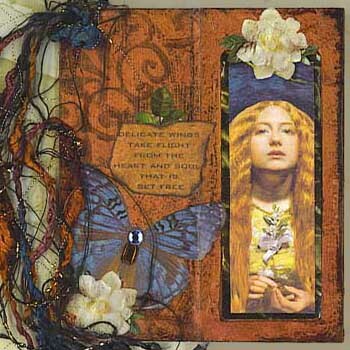 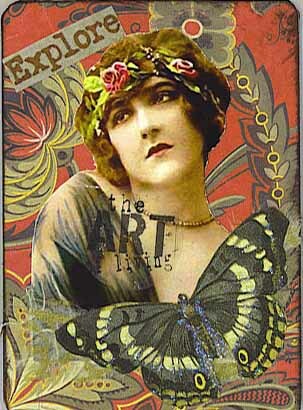 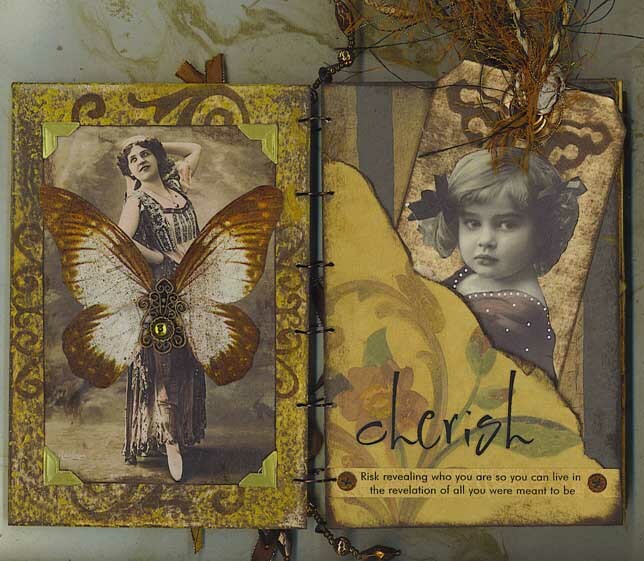 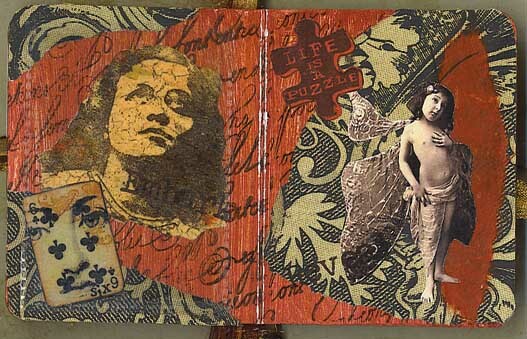 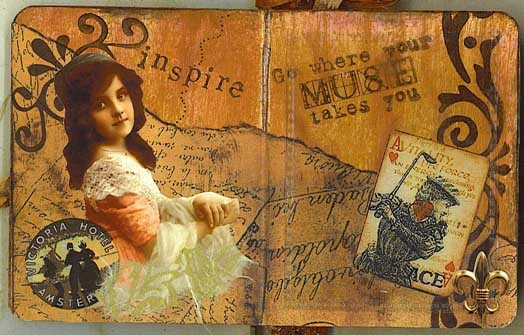 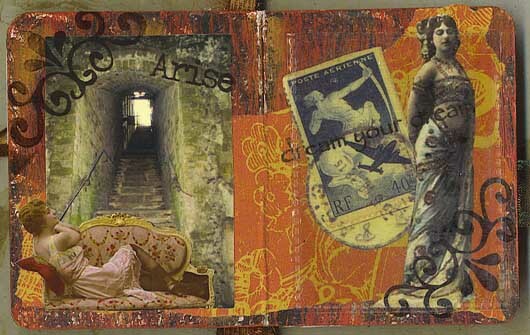 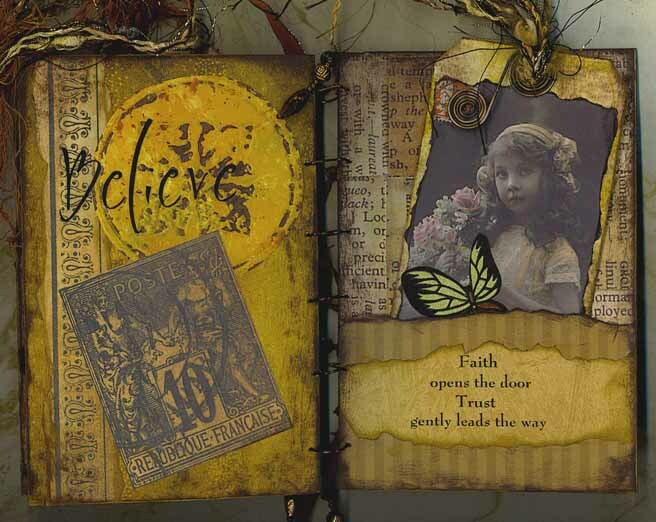 Most of my work is a collage style using multi layers of papers, inks, lumiere paints, stamped images, ephemera, vintage images, jewels, wire, beads and victorian scrap. 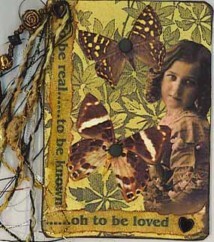 I love jeweled and beaded fringes, fibers and delicious ribbons to accent and finish many of my pieces. I love to fuss over the details and final touches that make each piece unique and special. 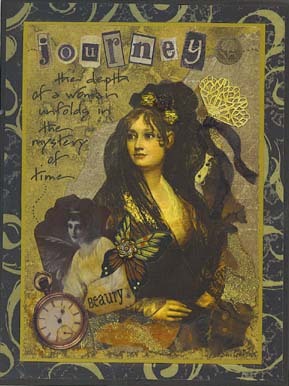 As a self-taught artist, I aspire to create something different each week and marvel at the surprises that await in art. 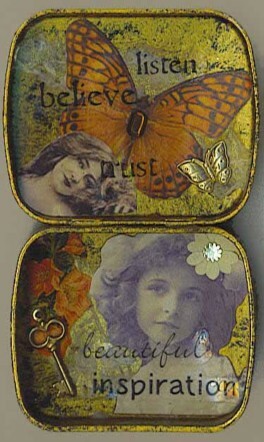 One week it will be altered tins, fantasy butterflies and dangles and yet another week, altered journals, tags, bottlecap magnets, beaded hangings etc. 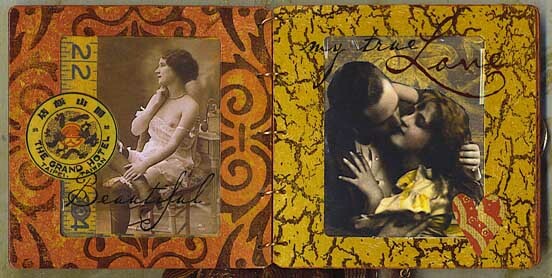 I began to sell my work on ebay in Oct 2004 and in a few local shops and it has been a joy. 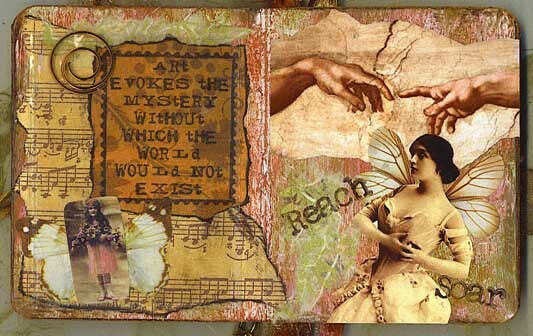 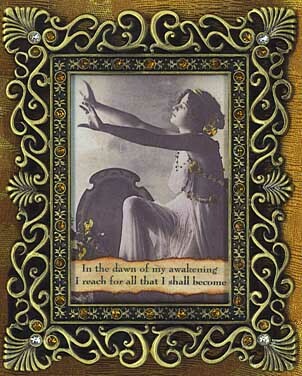 I strive to push myself a little and move into new artistic expressions as often as I can. 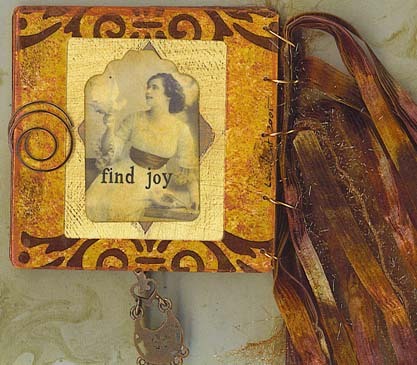 My ultimate hope is that each person who receives one of my pieces will feel special and honored and know that great love, detail and joy went into creating what they now hold in their hands.